We’re celebrating Mothers, Moms, Nanas, Grammas, Grand Meres, Babas, etc...& Quilting! For those of you able to spend time with families enjoy your time together. Honouring Motherhood and sharing the love of quilting are often associated. This special connection is shared universally as we celebrate the present, past and future. Creating and sharing quilted legacies is what quilters do best! 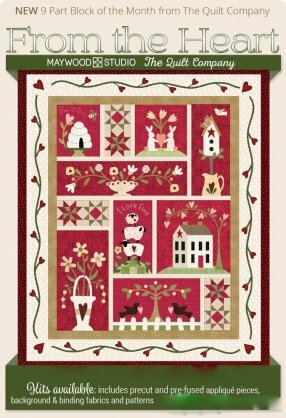 Includes 9 Pre-Fused Precision Cut Appliqué Blocks, background & border fabrics! SAVE $30.00 on this stunning & fresh palette KIT! 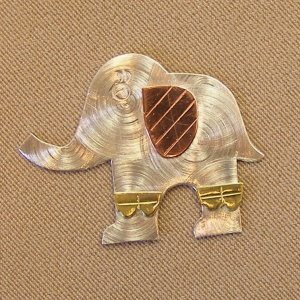 We’re excited to receive this newest Critter arriving in a few days! View all our Needle Nannies and coordinating Threaders: puppy, kitty, hearts, sheep, bees, etc. is the annual Canadian Quilters Assoc. Nat’l Conference. Workshops, Lectures, Merchant Mall & more. 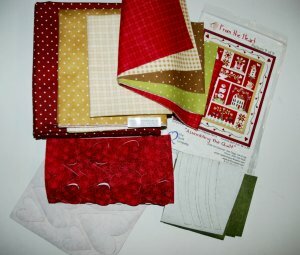 “Celebrating Quilters" is the theme! Vancouver Convention Centre May 31st to June 2! Visit the CQA/ACC booth Postcard Challenge Gallery to purchase peers’ postcards! Choose from 1400+ donated postcards! Reminder: CASH Sales only @ $5 minimum donation. Featured Section of Postcards (including winners!) is available for purchase by Willing Donation method. This fundraiser benefits the BC Children’s Hospital Foundation. Your generosity is appreciated. Reminder: On-line Pre-Orders received by May 15th for Express Pickup at Quilt Canada. Contact us anytime by E-mail with your queries. *LIKE us on our FACEBOOK PAGE to follow us for surprise Give-Aways! Happy Quilting, Stitching & Celebrating!